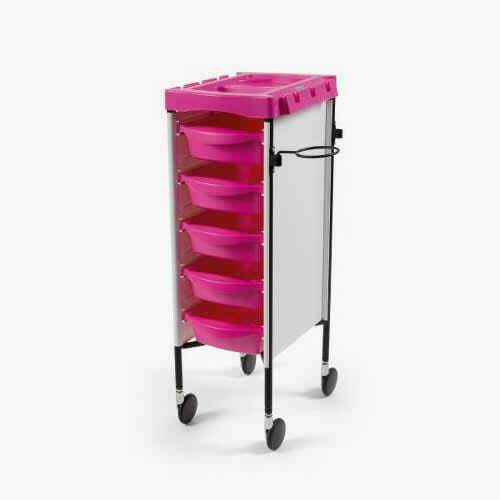 Stylish White and Pink trolley which features 5 sliding drawers with various compartments. Milano Trolley White and Pink. 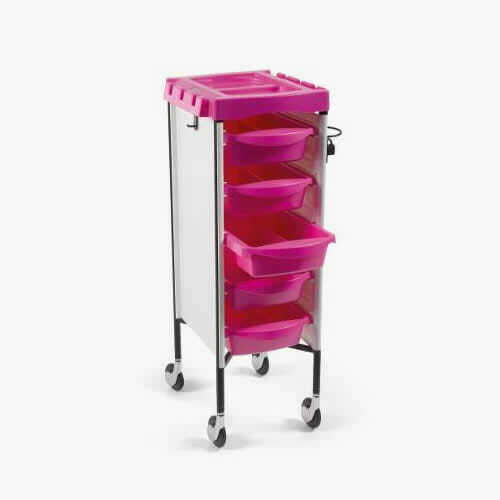 The Milano Trolley White and Pink features 5 sliding drawers with various compartments. 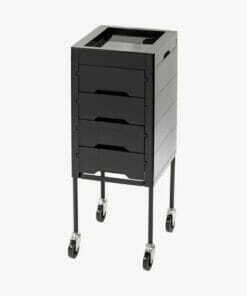 It has a hair dryer holder and high quality rubber wheels to ensure that the trolley rolls smoothly and silently through the salon. 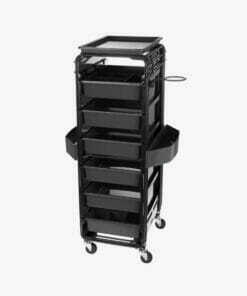 A tray can be attached to the top of the trolley on both sides to give you better access to your tools and products. Dimensions: Height 89cm, Depth 38cm, Width 33cm. 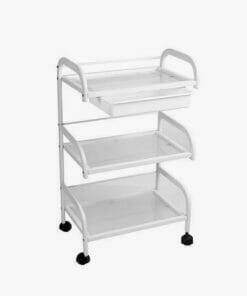 PLEASE NOTE WE ONLY HAVE 1 OF THESE TROLLEYS AT THIS SPECIAL PRICE. 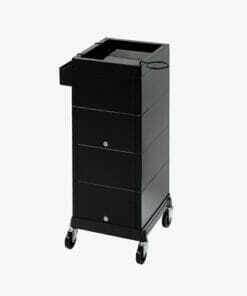 Sturdy salon trolley with 5 drawers, side dryer holder and silent rubber wheels. 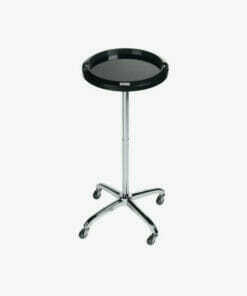 Circular tinting trolley on wheels ideal for colouring services within the salon. 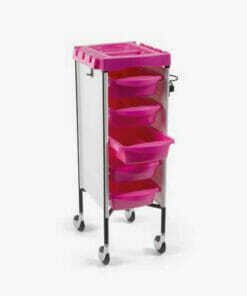 Store your salon essentials safely in this trolleys locking shutter. 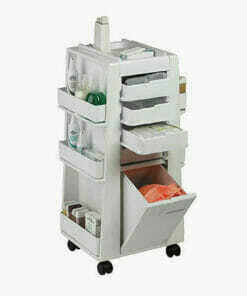 Stylish trolley, ideal for any beauty salon. It features 3 spacious shelves and one pull out drawer. 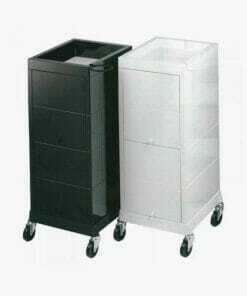 With 2 lockable hinged sliding doors, featuring a dryer holder, attachable side tray and rubber wheels. 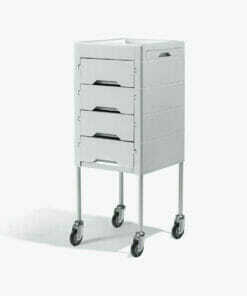 6 spacious drawers and two side trays to place more equipment and products. 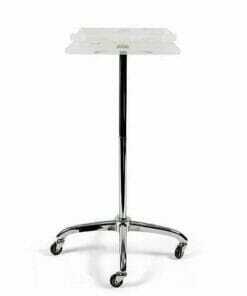 Features high quality rubber wheels for smooth and silent movement through the salon. 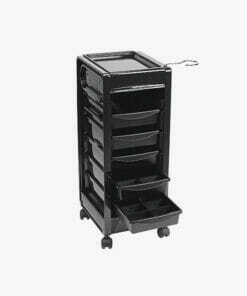 Black Square Shaped Tinting Trolley made from an unbreakable material and features two handy brush holders. 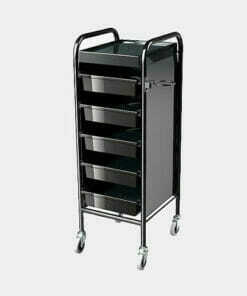 Tidy and sleek looking trolley with four profiled drawers, retractable tools tray and holders. 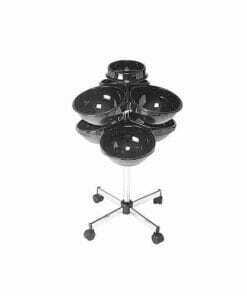 Roller salon trolley with 6 large half bowl spheres and a pin bowl on the top. 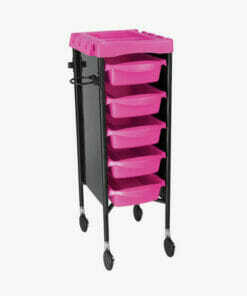 Features 4 slide out drawers, 6 side trays, a waste bin and a flat top to place products. 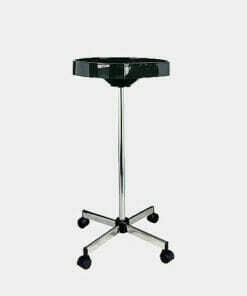 Black Round Tinting Trolley made from an unbreakable material and features two handy brush holders. 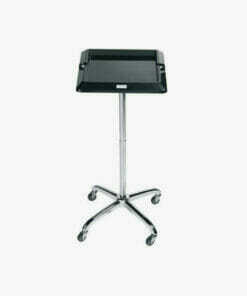 Tinting stand with acrylic designed top work surface on castor base. 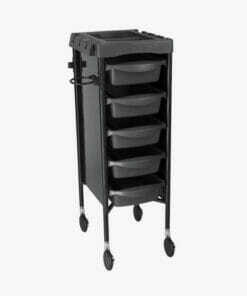 The Discrete Trolley has 2 magnetic fastening doors, dryer holder and attachable side tray. 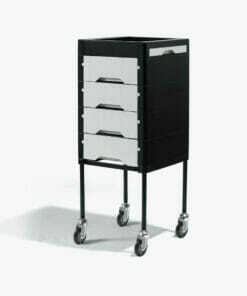 Well built trolley with all the storage a busy salon would need. 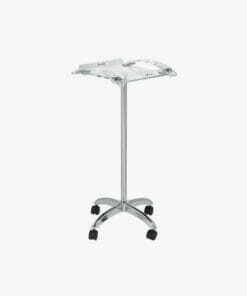 Tinting trolley with a square transparent white work surface made of an unbreakable material.